If you are looking for modern luxury wedding dresses, this is the right place.Beautifully crafted gowns from uber talented designers, embellished with the perfect touch of drama. 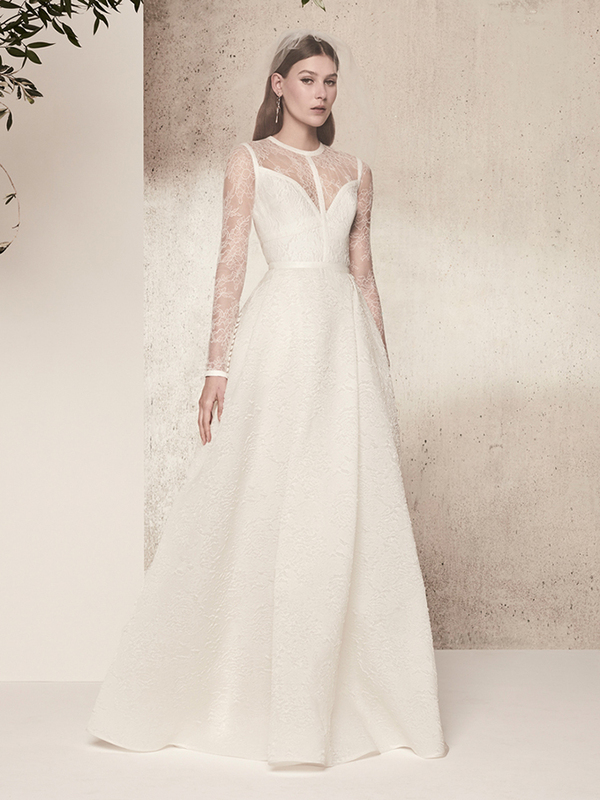 The modern luxury wedding dresses you are about to see are absolutely stunning to say the least. The stunning modern luxury wedding dresses by designer Zuhair Murad range from ivory to powdered and muted tones with gorgeous flowers in all shapes and sizes. 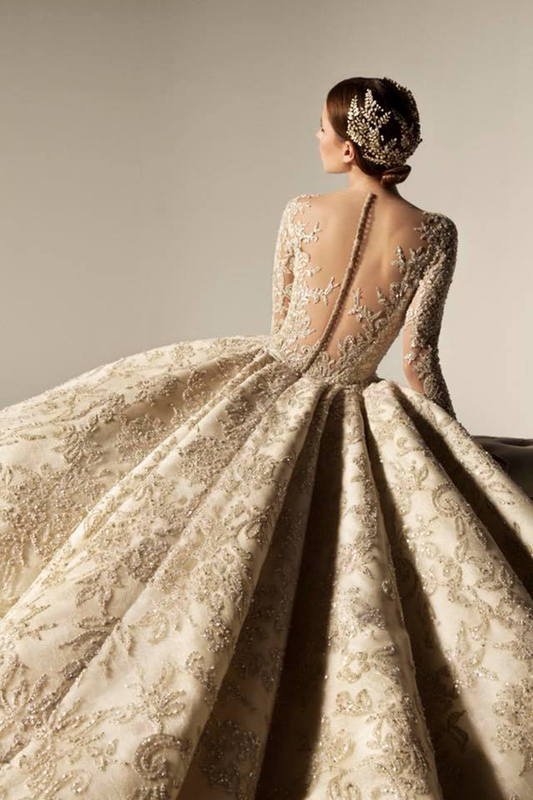 The bridal collection by Zuhair Murad celebratesboth ancient and modernized tradition. 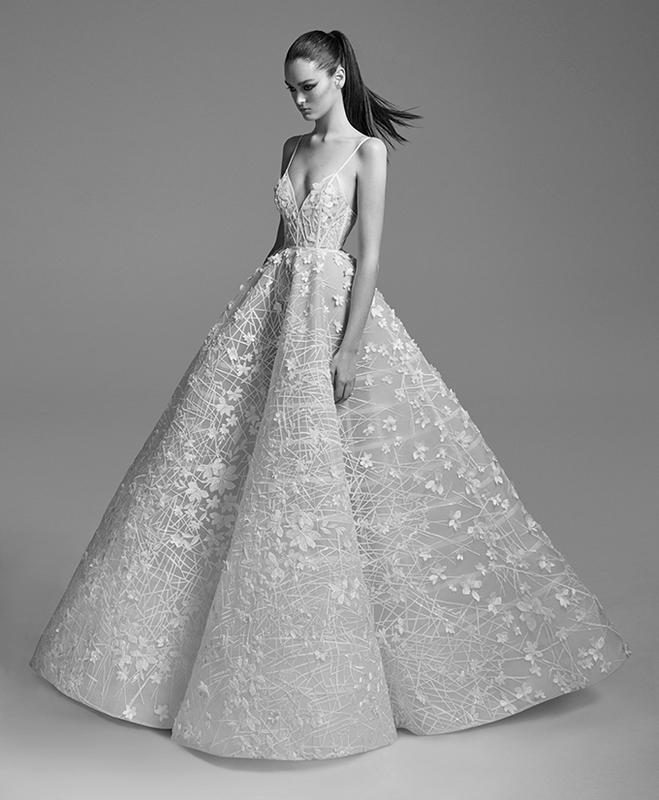 We are madly in love with the sophisticated designs in a palette of off-whites and dusty pinksof the Krikor Jabotian’s 2018 bridal collection. 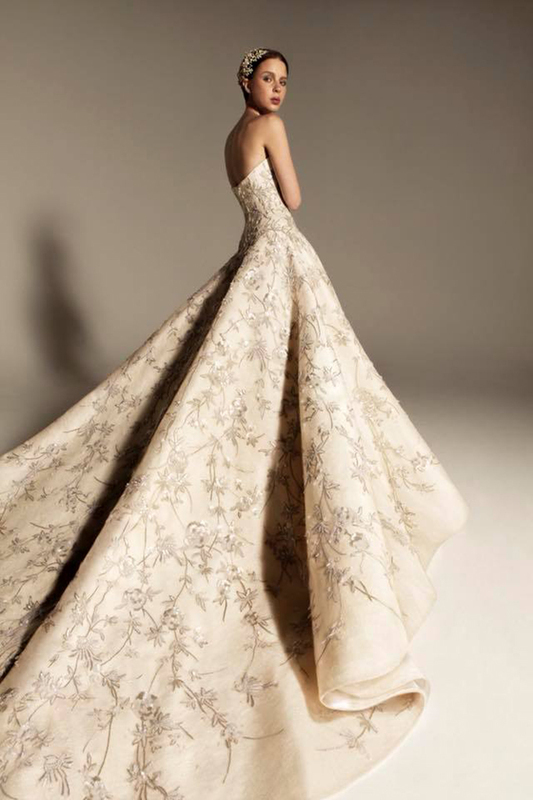 Each wedding dress is truly a masterpiece! 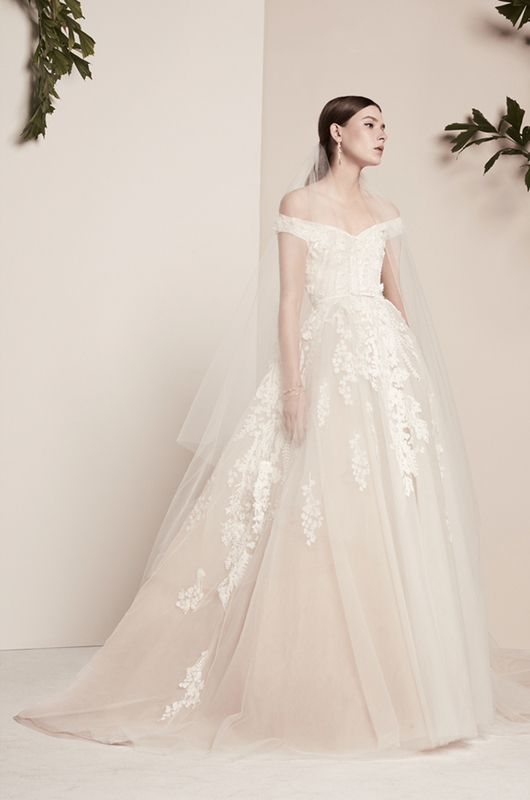 Staying true to his signatures of opulence, grandeur, and femininity, designer Elie Saab’s new bridal collection is truly amazing. 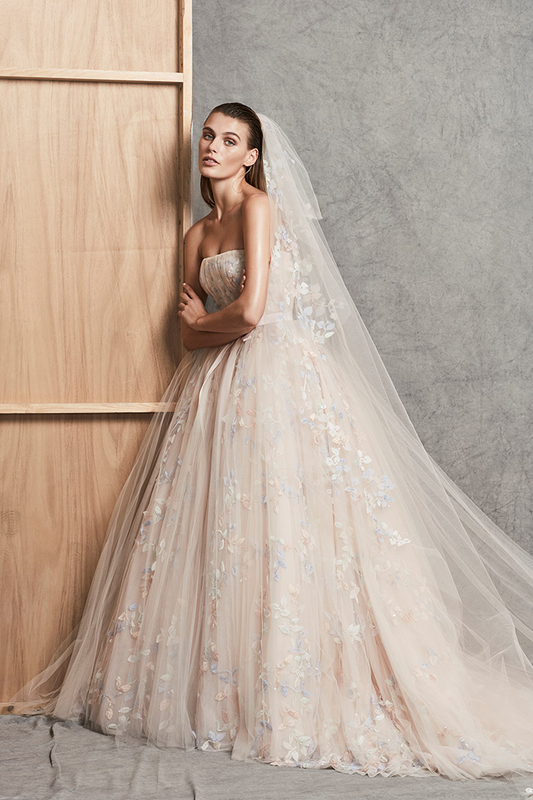 With cues from the Japanese cherry blossoms, the modern luxury wedding dresses feature floral motifs and have blush tones. Details that we loved were the capes and veils in a gossamer-thin hybrid material. With his bridal collection, designer Alex Perry redefines the experience of pursuing the ultimate bridal gown for the modern-day bride. The modern luxury wedding dresses are timeless and feature rich Mikado silk and Duchess Satin creating volume and the perfect touch of drama. 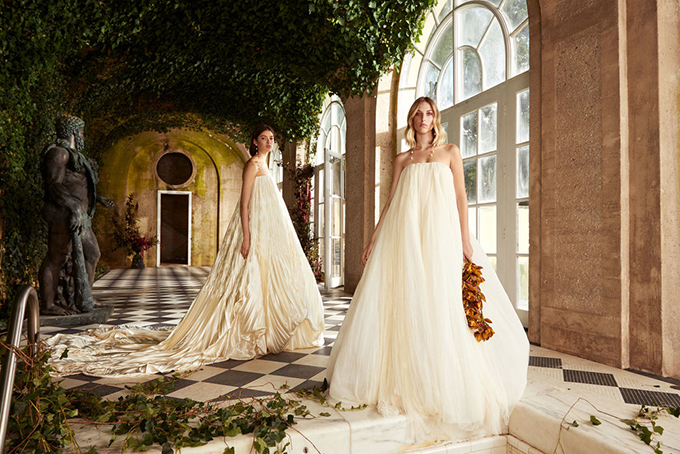 Undeniably beautiful, the modern luxury wedding dresses you are about to see form designer Danielle Frankel are pairing silk-wools woven in Italy with unexpected cottons from Japan, creating a fresh yet formal bridal look.